A few years back I picked up this weighty hardcover with dense, tiny print on the 700+ pages called The Quincunx. It was written in 1990, but I was only discovering it some twelve years later. I loved it, and eagerly looked for more by the same author. I was stunned to find that he only had, at the time, three other books. Only three! I love discovering a new (to me) author I like, and then also discovering they have ten, twelve books in their backlog. In 2014 Palliser released his latest work…Rustication. Now, before you keel over at the thought of another 700+ page work, this one checks in at 336. Half the length of Quincunx. It’s set in the same locale as some of the author’s other books, late 19th century England. 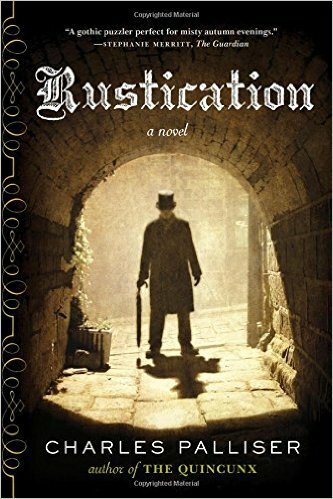 The term Rustication refers to when young men were suspended from school, which is the fate of the novel’s narrator and protagonist. Thus far I’m 100 or so pages in, and loving every word of it. Action thrillers were long something I avoided. I just never found an author whose continuing characters and their exploits really caught my attention (most were military or political in nature) but then I discovered James Rollins and Steve Berry…two ‘quasi-historical action thriller’ authors I enjoy. 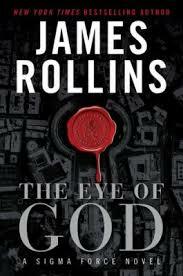 The Eye Of God, while not my favorite in the series, is an interesting viewpoint on how our government develops amazing technology…and then if something goes wrong…how vital it is to keep it out of the hands of others. An interesting read, though I must say it’s predecessor, Blood Line, had a much stronger plot and story. There is one novel in the series that followed this one last year, and another is due out before the end of 2015. I love the story of the Romanov family. The entire family slaughtered, the possibility that one or two of the children survived, the young woman who surfaced years later claiming to be Anastasia Romanov….fascinating stuff. I read a book called The Romanov Cross a couple of years ago that postulated on Anastasia having spent the remainder of her days, after her family was killed, on a remote island off the cost of Alaska. 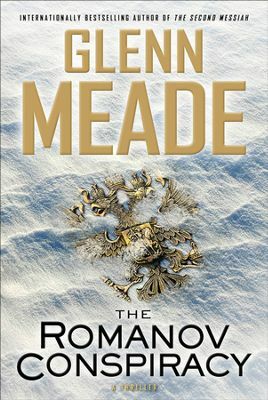 This book, while it contains, in all honestly, very little of the Romanov family as characters, is an fun, fast paced account of ‘what if’ a person/people had been trying to prevent the family from being killed and was working to get them out of harm’s way. The Translator In The Ears Of Kids…. I often times think that children are all born with a translator somewhere in their ears…or they pick them up somewhere…because what you say and what they apparently hear are two very different things (which obviously is your own fault). I’ve figured out a few of these things that they hear differently than you say (which obviously is your own fault), and for anyone new to parenting or considering parenting, this might help them avoid some frustration. These are really just the beginning, the ones I’ve become the most familiar with and feel it my solemn duty as a parent to pass this on to others.